Mike graduated from Oxnard High School in 1970 and began touring across the US performing in various bands. While at a gig in Minnesota he met his future wife Julie and moved back to California to start a more stable lifestyle. He graduated from the Guitar Institute of Technology in Hollywood in 1981 with the goal of becoming a studio musician, but as he had difficulty reading sheet music this goal never came to fruition. Instead he continued with bands and eventually joined Blue Stew. In 1983 he married Julie and they had one son, Justin. Blue Stew became a key focus for Mike and allowed him to write and play numerous songs in his 14 years with the band. 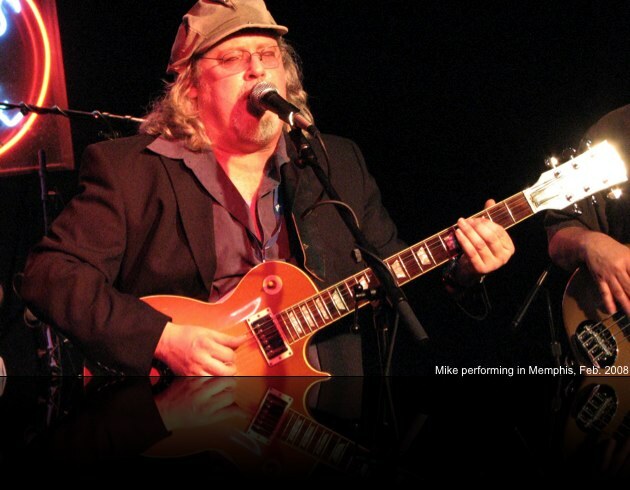 Mike and the band originally enjoyed local success before getting recognition further afield, with the last recognition winning the Santa Barbara IBC and traveling to Memphis to compete in the 2008 International Blues Challenge Final. Mike's life and musical inspiration came from many sources, but his struggle with living with Tourette's Syndrome, which is a genetic disease that manifests itself by vocal and motor tics, severe headaches, A.D.D., and severe depression, was a key factor in many of his songs and lyrics. Mike kept his struggles with Tourette's Syndrome private, but spent many hours on the internet helping other families deal with the disease. The Tourette's made him unable to maintain a normal job, so he found his solace in drawing, songwriting, singing, and playing guitar. Besides constant writing and listening to music, he also enjoyed music trivia, watching movies, playing with his dogs, and anything that included his son Justin. Mike believed in the power of music and the ability it had on changing people's lives, including his own. With Blue Stew he wrote numerous songs for their four albums in addition to performing. 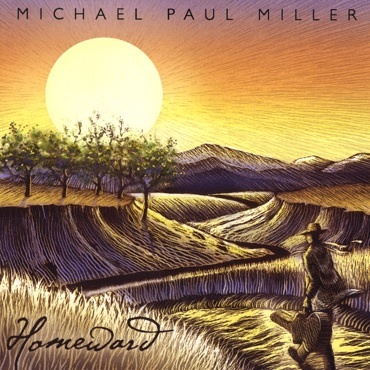 In 2002, Mike set up recording equipment in his bedroom and for months he would be alone in his room recording every instrument and every vocal on his own and the result was his very personal album, Homeward. Mike lived for the feedback from others and just wanted to have his music heard and although to many he was a star, his depression would always make him feel less worthy. As a way to have his music spread, we would like to offer his Homeward album available for download with your donation. Your contribution will go directly to the family with a portion donated to the Tourettes Association to raise awareness of the disease. The family thanks you all for your love and support. May our memories of Mike be an inspiration for all and may his spirit live on through his music. The Ventura County Star has posted a great article on Mike in Saturday's newspaper. You can read it online here. The Ventura County Star also has the obituary online. You may read it and sign the guestbook here. A photo gallery and guestbook has been started at MeM.com. Visit the site to see both recent and old photos. Click to continue to the main M. P. Miller website.